Ronnie Fieg’s love for classic silhouettes knows no bounds, though it is a bit of a surprise he hasn’t worked with some more extensively. This week, Kith shows off their first solo project with the Converse Chuck Taylor, dressed in tonal monogrammed colorways. 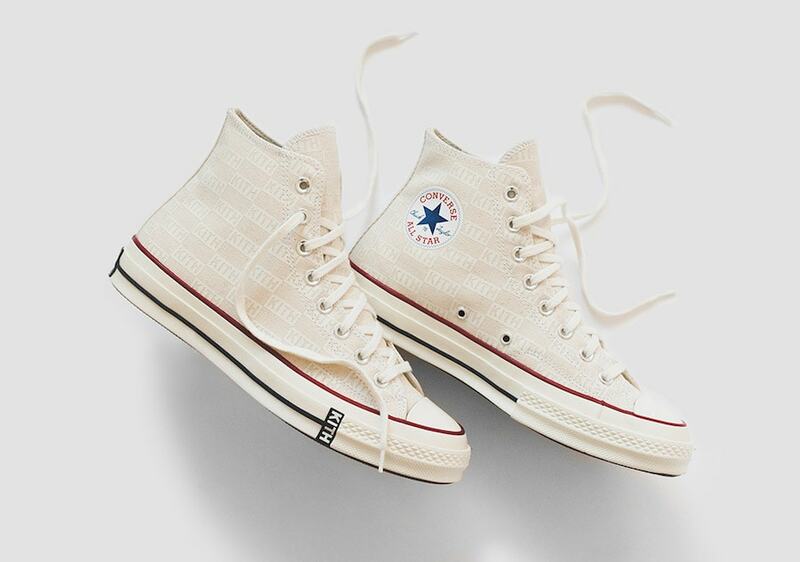 The last time we saw a Kith-branded Converse Chuck Taylor All-Star, they featured the Coca-Cola logo predominantly wrapped around either heel. While the three-way collaboration was quite a hit, the bold branding made some Kith fans hungry for a more minimal version, wondering what the Chuck 70s would look like with just Ronnie Fieg’s design inspiration. Well, that question has been answered this week, as the New York City retailer has shared the first look at their own take on the legendary silhouette, which arrives in store this Friday. While Kith’s take on the Chuck Taylor is pretty much exactly what we’d expect, its still a wonderful execution. 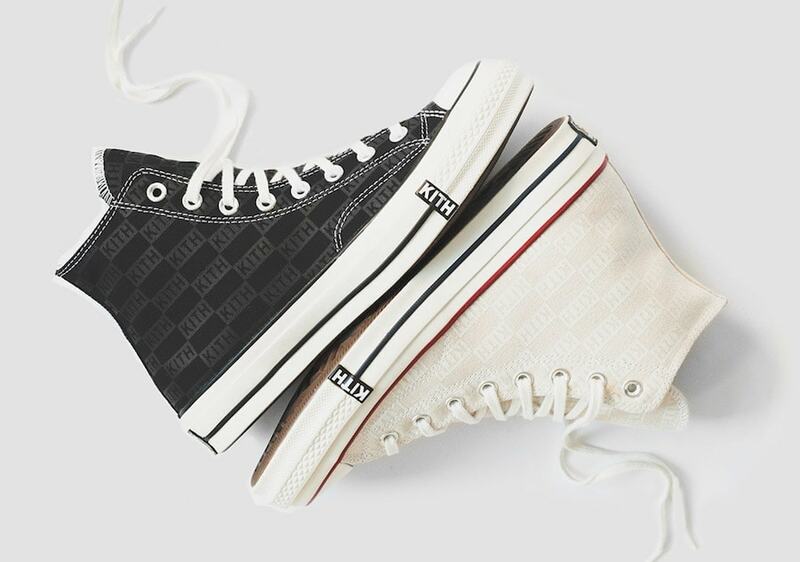 The Kith x Converse Chuck 70s will release in two colorways for the Classics program, one creamy off-white and the other in black. Each pair features the Kith box logo in a monogrammed grid print across both canvas uppers, altering the shade of each square to achieve the desired look. Both pairs feature a subtle Kith logo on the outside of the midsole to complete the look. 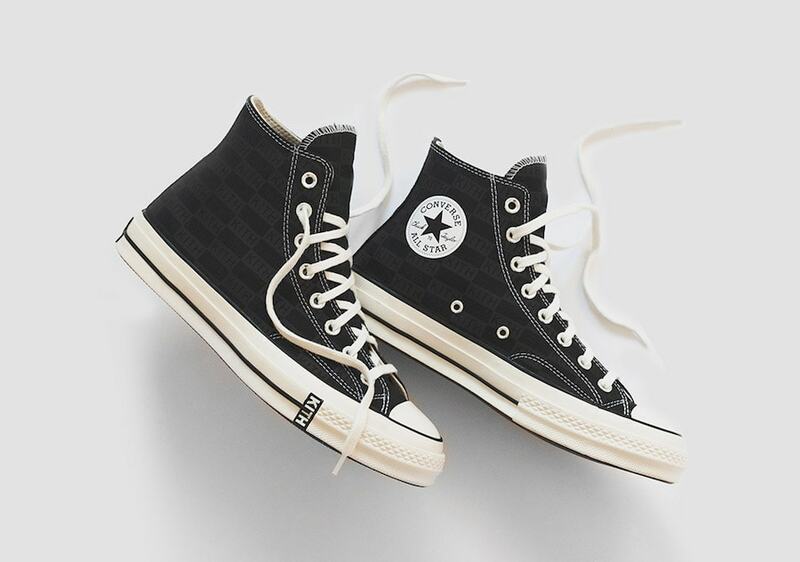 The new Kith-branded Converse Chuck Taylor All-Star 70 has been scheduled to release on April 19th, 2019, as a part of the New York brand’s Classics program. The monogrammed look for the two tonal colorways will likely carry an elevated retail price due to Ronnie Fieg’s involvement and will release exclusively in-store at all Kith shops, with no accompanying online release. 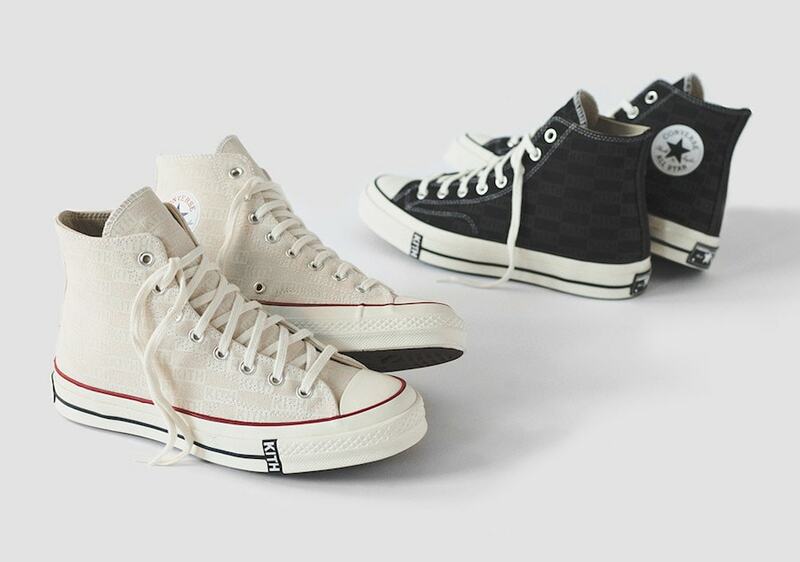 Check out the product shots below for a better look, and stay tuned to JustFreshKicks for more Converse release news.